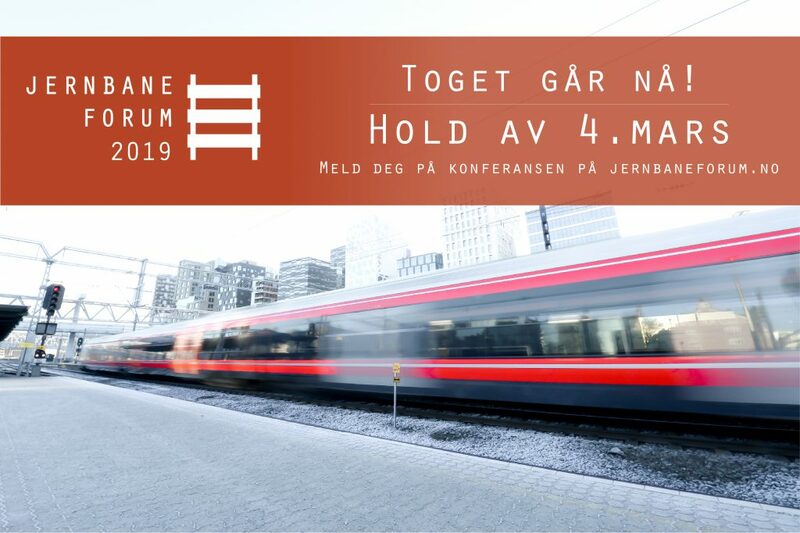 Jotne Rail Solutions will assist with the technical organizing of the annual conference The Norwegian Railway Forum and be an advisor who will actively contribute to develop the conference together with the organization Jernbaneforum Sør, The Norwegian Railway Directorate and the other railway forums in Norway. “The Norwegian Railway Forum is Norway’s most important meeting place for the railway industry. For this reason we are proud and happy for Jotne Rail Soltuions being able to contribute along with enthusiastic railway forums and skilled specialist staff in The Norwegian Railway Directorate. We have already established a good cooperation with the program comitee and are ready to send out invitations to both exhibitors and participants” says the Managing Director of Jotne Rail Solutions, Anne Støren. Reah put if you have any questions. We encurage all players in the rail way industry to put 4th of MArch 2019 in their calendar, and sign up at jernbaneforum.no. All information will be found at jernbaneforum.no. The website will be continually updated.